I am more than sure that you guys get a lot of inspiration from our ideas here on our website. And if you are a crafter, you certainly would have tried some of them. We have made numerous furniture items, day bed for our ladies, couch for our patio, benches for our garden an many many more. But today we have brought you something different that is quite heart touching. Yes, this is about pallet toddler furniture. Your toddler means world to you, and you want to fetch him all the happiness of the world. Trust me, this pallet recycled toddler furniture is going to be one of those happiness of world. What are the modalities that are chalked out while designing and making a toddler furniture? Above all, it should be secure and easy. Then it should be comfortable. The surface should be too smooth to comfort the toddler. It should be bright so that the toddler gets attracted, and for us it would be even great if it is also cost effective, apart from joke. 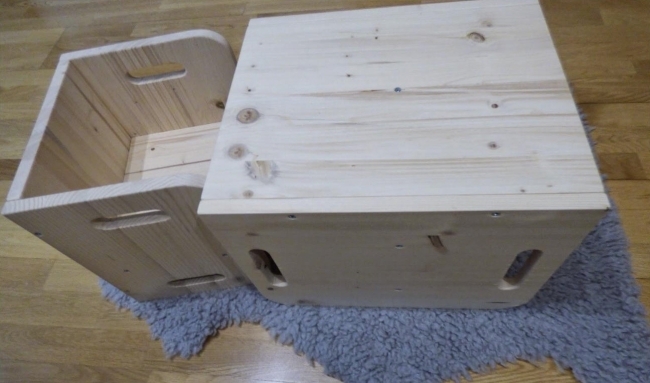 So this pallet toddler furniture can give you all the expected qualities all at once. It would be soft, bright, comfortable, secure and above all cost effective as you do not have to pay even a single penny against the basic material that is pallet. 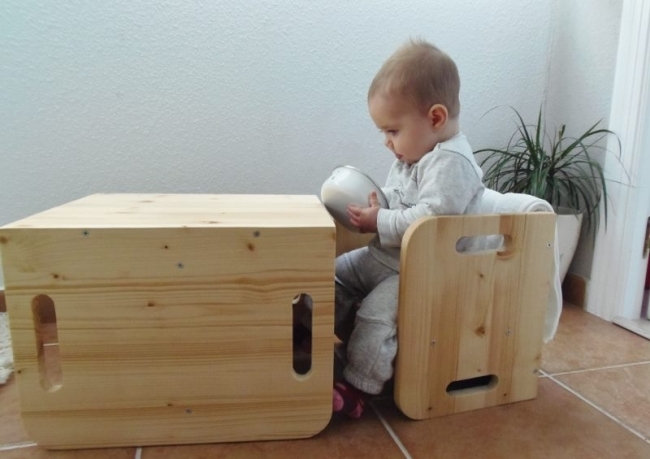 Look at all the nukes and ends of this toddler furniture upcycled with wooden pallet. The entire body is very well sanded to avoid all the sharp corners and ends so that your baby does not get hurt. Secondly it is left in its natural color giving it rustic look which is much attractive even for the toddlers. 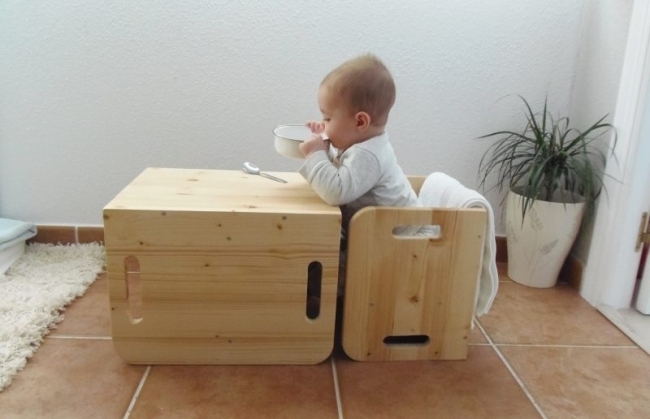 There is a pallet table along with an easy pallet chair, making it a complete set where the toddler can have his favorite meal.